The garage is home to your cars, workbench, sporting equipment, gardening supplies – and a number of unpleasant smells. 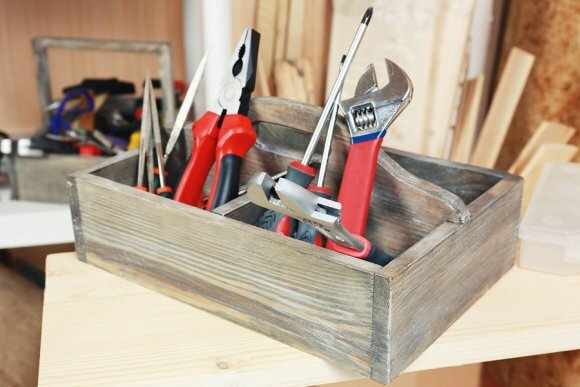 If the stink makes it unbearable to spend more than a few minutes at a time in the garage, you may find it impossible to pursue hobbies like carpentry, gardening and car restoration. Freshen up your stinky garage so you don’t have to plug your nose every time you step out there. What Makes a Garage Stink? Clean your garbage cans and recycling bins: Start by hosing them down. Then, mix up a gallon of hot water and a teaspoon of dishwashing liquid. Dip a sponge into the soapy solution and scrub the cans inside and out. Rinse them with water from a garden hose and let them dry completely. To help your garbage cans stay fresher longer, line the bottom of each one with several sheets of newspaper and a sprinkle of baking soda to absorb odors. Replace the newspaper and baking soda every week on trash day. Rethink storage: If you keep items in cardboard boxes on the garage floor, take a moment to examine them closely. You’re likely to find soggy, moldy spots that contribute to your stinky garage. Clearly, it’s time to throw them out. To prevent soaking up moisture and encouraging mold growth in the future, replace cardboard boxes with durable plastic containers. Label these carefully and stack them on shelves or overhead storage to free up space in your garage. Discard old products: Empty all shelves and garage cabinets of cans, containers, spray bottles and other items. Assess the age and condition of each one and throw out any that are past their prime. Be sure to dispose of old motor oil, paint, chemicals and other products at a designated hazardous waste disposal facility. Clean up oil spills: Old motor oil on the floor contributes to the stink in your garage. Instead of toiling over spills, try covering them with kitty litter. This product has the ability to soak up liquids and eliminate odors, allowing you to clean the floor with hardly any effort. After one to two days, sweep up the kitty litter to reveal the oil-free floor beneath. Clean the garage with bleach: If you detect a musty odor in your garage, chronic mold and mildew could be to blame. Combine one cup of chlorine bleach with a gallon of water in a large bucket. Use this solution to mop the floors and walls of the garage. For your safety, leave the garage door open while cleaning with bleach to ensure adequate ventilation. Rinse the floors and walls with clean water and allows it to air dry for at least 24 hours before closing the garage door. Address smelly floor drains: If the drain on your garage floor has a trap, the water inside may have dried up after months of non-use. This can become a source of sewer smells in the garage. Because floor drains are likely to remain unused for a long time, you can keep foul odors at bay by pouring 3/4 cup of mineral oil down the drain and into the trap. This evaporates slower than water and prevents sewer stench from seeping into the garage for longer. If the smell remains despite your efforts, this could mean the drain doesn’t have a trap. To block odors rising from the sewer without sealing the drain completely, lay down a piece of heavy plastic over the drain, and tape down three of the four sides. This way, you block most of the odor, but standing water can still enter the drain. Clean pet supplies regularly: Perhaps you put Fido’s kennel or Fluffy’s litter box in the garage to prevent them from stinking up your home. The only problem is now they’re stinking up the garage! The simple fix is to give these pet supplies the same care you would if they were within the living space. Clean litter boxes daily, launder pet bedding weekly and hose out kennels twice a month. Soak up future odors by setting out containers of undiluted white vinegar, baking soda, clean kitty litter or activated charcoal. These odor absorbers help manage smells in the garage. Replace them once a month to ensure they remain effective. Secure garbage can lids. If possible, leave your trash by the side of the house instead of inside the garage. Install a ceiling- or wall-mounted exhaust fan or ventilation system. This helps regulate temperature and moisture levels to discourage mold and mildew. It also draws stale, fumy air outside to keep your garage smelling fresh. Move hazardous chemicals and half-empty paint cans to an unattached shed, if possible. These products smell because they release volatile organic compounds into the air, which can be harmful to your health. Check items on shelves and in cabinets regularly for problems that could cause bad odors, such as leaking bottles or spoiled food. Now that the offending odors are long gone, you may have new thoughts about how to make the most of your garage. Whether you want to start working on your car again, or you have alternative uses in mind for your garage, you need a quality garage door to secure the space. An insulated garage door helps with moisture and temperature regulation if you plan to heat or cool the area. Lightweight aluminum, sturdy steel, low-maintenance vinyl, and timeless wood are all possible garage door materials. Different styles – such as modern flat panel, traditional raised panel or timeless carriage doors – help you match your home’s aesthetic design. For garage door installation and repair in Jacksonville, please contact A1A Overhead Door Company at (904) 579-1123. If you have decided it’s time for a garage door replacement in Amelia Beach, FL, you’ll have plenty of options for a new garage door . Be sure to find one that complements the existing design of your home and increases your curb appeal. You should also find a new garage door that keeps criminals out and enhances your sense of security. When it comes to energy efficiency, nothing beats an insulated garage door. Take a look ahead to find out why you should look for insulation when you need a new garage door. Insulation is what keeps heat from transferring from one side to another, and thus it has everything to do with the energy efficiency of your home. If your new garage door is insulated, you may find your bills dropping by significant margins. Insulated garage doors will keep outdoor air outside of your house and prevent it from infiltrating your living space. This means that the conditioned air inside your home stays there, so you can continue to enjoy your comfort without overworking your heating and cooling units. An insulated garage door is a particularly wise choice if there is a bedroom in or above your garage. If your garage gets very hot in the summer and very cold in the winter, you might be thinking about trying to insulate your door. Insulating garage doors is something that can be very effective for some homeowners, but not everyone will enjoy the benefits of insulation. A1A Overhead Door Company can take a look at your garage door in Jacksonville and analyze the rest of your garage to see if it makes sense to add insulation. 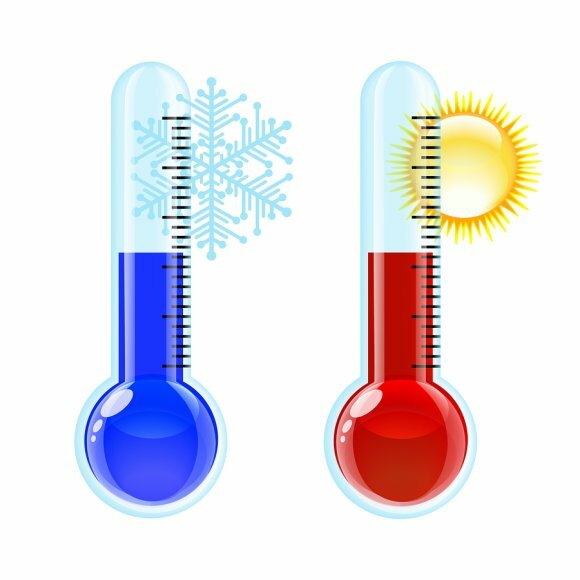 The truth is that, unless you are pumping cold or hot air into your garage during the summer and winter seasons, there’s a good chance your garage is going to become as hot or cold as it is outside. Most garage doors don’t do a very good job of stopping air from leaking in, which is unfortunately going to affect the air temperature. But if the walls inside of your garage are insulated properly and you have weatherstripping on your garage door, you might be able to benefit from insulation. It all depends on your specific situation. When you call on A1A Overhead Door Company to insulate your overhead garage doors, we will do our best to improve the conditions inside your garage. When you are performing seasonal maintenance on your home, it is important to remember to prepare your garage doors for the winter. In the state of Florida, the winter months can bring cooler temperatures and extreme weather conditions. Since your garage doors are the primary line of defense between your home and the elements, you will want to make sure that your garage door seals are in good condition. With a properly sealed garage door, you can help keep heavy rains from flooding your garage. Other winter maintenance procedures include checking your garage springs, and lubricating the tracks of your garage doors. Finally, you may also want to take the time to make sure that your garage door opener has fully charged batteries. For help with seasonal maintenance for your garage door in Jacksonville, be sure to contact a highly rated garage door company in your local area today. The summer season is here, so now is a great time to make sure that your garage doors are properly insulated. With garage door insulation, you can help your HVAC system operate more efficiently. 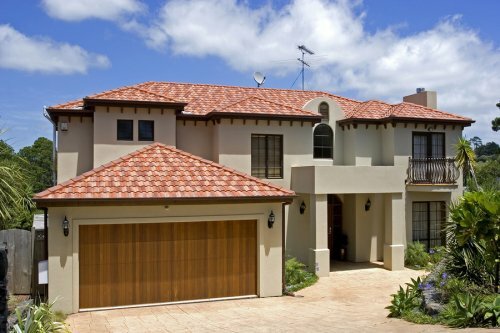 Additionally, garage door insulation can help ensure that your garage doors are up to hurricane code . When you work with a company offering garage door repair serving Jacksonville, your technician will determine the best layout for your insulation. Your company specializing in garage door parts and maintenance will be able to help you choose the best insulation product for your garage. After insulating your garage, you will be amazed at the energy-saving benefits for your home. To learn more about insulating your garage doors, check out this informative video from Bob Vila.